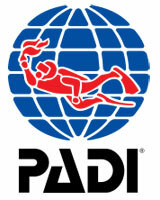 Sarah has been conducting PADI Professional Courses for 5 years in Phuket. She is one of only a few female PADI Course Directors in the scuba diving industry. Recently she sold Scuba Cat Diving and has decided to take Scubacat-idc on the "road" taking professional dive education of the highest standard where ever she goes. Expect to receive the highest quality PADI training with emphasis on quality rather than speed and customer service to match. As well as Go Pro courses she can teach all levels of recreational PADI diving from Discover Scuba Diving for the non divers to PADI Master Scuba Diver and beyond. She is also a Reefcheck instructor and a DDI (Disabled Divers International) Instructor Trainer. Sarah has a long long history of being eco aware, from helping to lay artificial reefs, annual underwater clean ups and winning awards from Project AWARE. Currently Sarah is still based in Phuket and will be conducting her PADI IDCs at Ocean Geo in Naiharn Phuket although her network of bases is soon to be expanding to other PADI 5 * IDC Centres Globally so watch this space for more details. 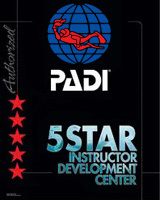 Ocean Geo is a PADI 5 * IDC Centre Store number S - 36413, TAT number 34/00058. Ocean Geo have been a PADI 5 * Instructor Development Course (IDC) centre in Phuket for providing premier facilities and training for Divemasters to train and study for their Assistant Instructor (AI) then their Open Water Scuba Instructor (OWSI) courses. They specialise in Instructor training for students looking to make a career out of being a Dive Instructor, giving them all the qualifications they need for a future in diver training and supervision. The Ocean Geo website is currently being updated. We combine a number of IDC packages that are taken prior to the Instructor Exam (IE), all courses can be conducted in English, other languages on request. We offer work experience and Internships for beginners to Divemasters and are proud to offer reduced prices for already qualified AIs who wish to take an IDC. There are prerequisites required before embarking on certain PADI courses, we ensure you are ready for any PADI course and you can find out more about those on our PADI courses pages.